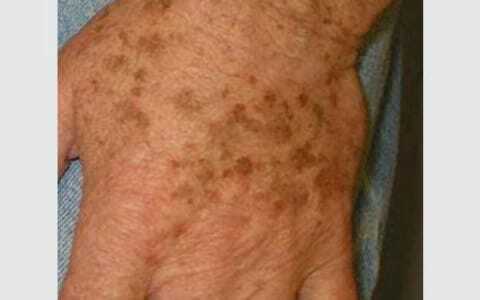 LENTIGINES are due to localized proliferation of melanocytes. 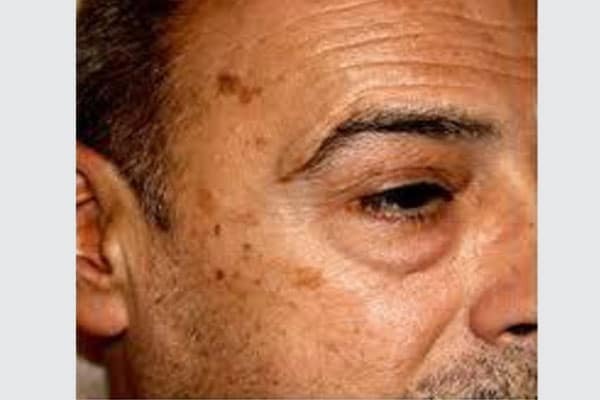 The most common type, solar lentigines, arise in middle age and also result from sun damage (sun spots). They are most often found on the face and hands, and are larger and more defined than freckles. Lentigines tend to persist for long periods and don’t disappear on the winter (though they may fade). The correct term for a single lesion is solar or actinic lentigo. These are common in those with fair skin but are also frequently seen in those who tan easily or have naturally dark skin. 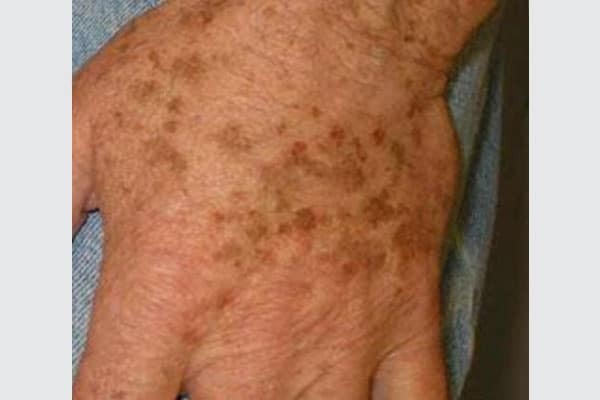 It is important to distinguish the harmless solar lentigo from an early malignant melanoma, subtypes lentigo maligma and lentiginous melanoma.If the freckle has arisen recently, is made up of more than one color or has irregular borders or if you have any doubts, see your dermatologist for advice. It is sometimes difficult to tell a benign lentigo from a melanoma, particular if there are atypical features clinically or pathologically. 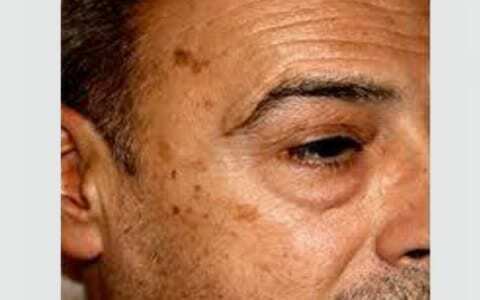 This is called atypical melanocytic hyperplasia. Such lesion should be completely removed by surgical excision with pathological examination. Careful sun protection will reduce the number of new solar lentigines. Staying out of the sun and using sun protective clothing is much more effective than sunscreens alone. Sunscreens must have high sun protection factor (SPF 50+), good broad spectrum cover against ultraviolet radiation (UVA), and should be applied liberally and frequently. It is used in the treatment of many skin issues linked to ‘’aging’’ such as: telangiectasia, fine wrinkles, excessive hair, sagging skin, hyperpigmented spots, etc.. This laser is considered a new tool in the field of skin rejuvenation. Cryotherapy refers to a treatment in which surface skin lesions are frozen, commonly used for a variety of benign and malignant lesions. For an example, cryotherapy is considered as the treatment of choice for warts, actinic keratosis, age spots. It is considered as one of the powerful and effective lasers., It is safe to use, with almost no pain.